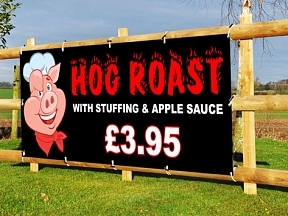 Outdoor Catering PVC Banners, Hog Roast, Burgers, Chips or whatever you need! 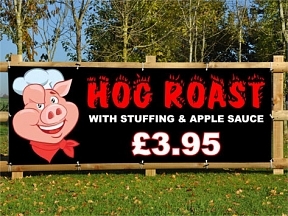 Design is FREE of charge with all our PVC Banner printing. Let us know what you need and we will design and email you a FREE proof. 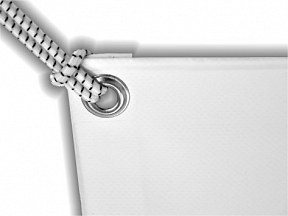 This specific product is for a print as shown in the image, if you would like a bespoke print please contact us with your requirements, or make us aware in the comments box in checkout.